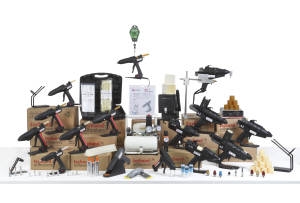 Gluegunsdirect are celebrating another great milestone in their history today as they have received their 10,000th order via their online website from My Printing Pal. It’s been a tremendous achievement and a significant landmark, which everyone at gluegunsdirect is proud to be a part of. The newly designed (June 2014) responsive website improves the customer experience on Desktop, Tablets and Mobiles. 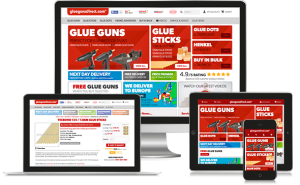 Now you can view information, watch videos and browse the online shop faster and with less effort – Buy Glue guns, Glue sticks and Glue Dots faster at gluegunsdirect.com !